Here are a few samples of corsages and boutonnieres featuring some popular colors and some trendy greenery. Ask our staff about one of these, or tell us a little more about your dress or suit and we can help you design one yourself. Call 703-779-3530 to speak to a member of our design team. 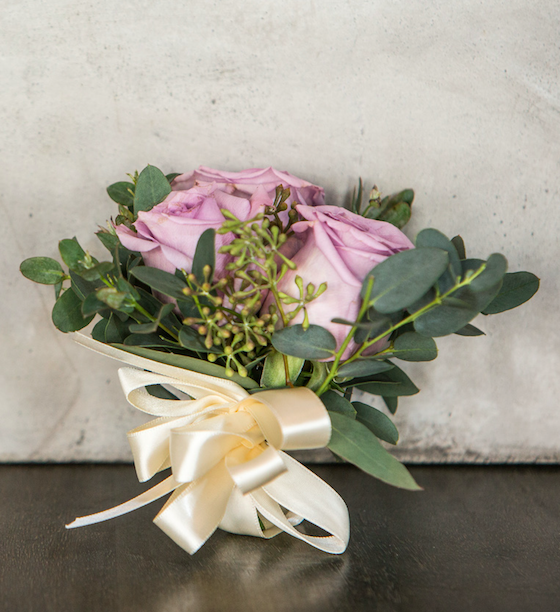 You can order just a corsage or just a boutonniere, too. 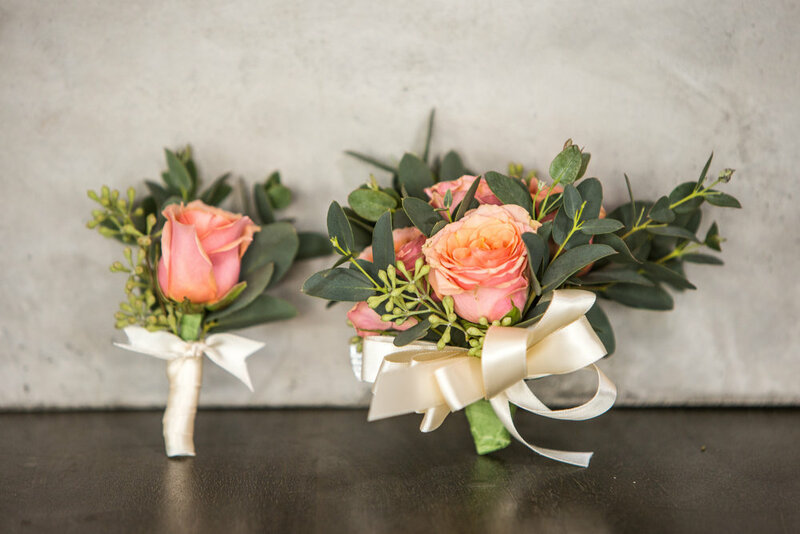 All Corsages and Boutonnieres are available for pick-up at our Leesburg studio. Watch this informative video about the proper technique for pinning on a boutonniere.